Columbia River Neckolas Neck Knife | BUDK.com - Knives & Swords At The Lowest Prices! This CRKT combination fixed blade knife/sheath system is lightweight, handy, and can be carried in a variety of positions. The 2" full tang, pointed tip blade is constructed from premium 8Cr13MoV stainless steel with patented Triple-Point serrations that make it ideal for use as a whitewater and extrication knife, as it can quickly cut through cord and seat belts without tip penetration. 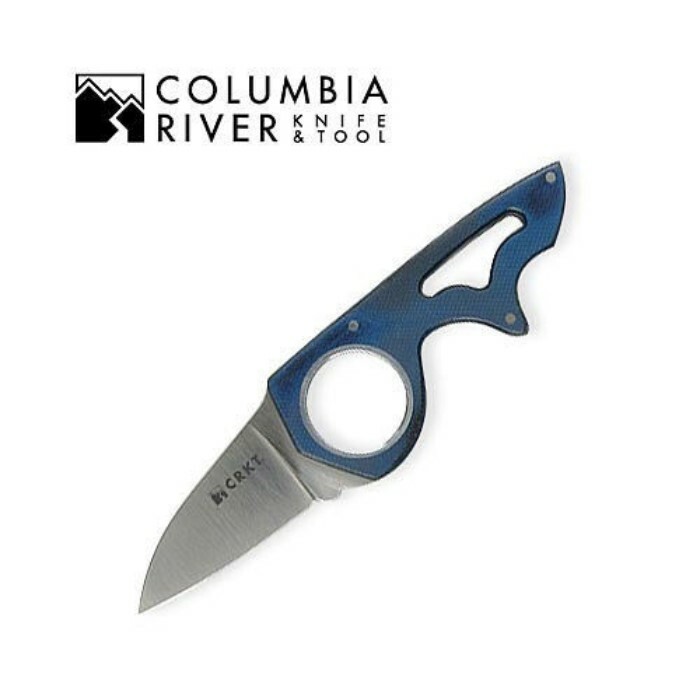 The blade is sandwiched between blue and black Micarta scales and held securely by stainless steel pins and the finger-ring insert. The sheath is also Micarta construction and uses a "pinch" springbar extension to unlock and clip the blade into place securely. This knife measures 5 3/8" overall and includes a reversible and removable stainless steel clip and black nylon lanyard. CRKT, 2390.